This is a great starting package for anyone who fishes a tailwater fishery. This package comes in a waterproof box with the following flies. 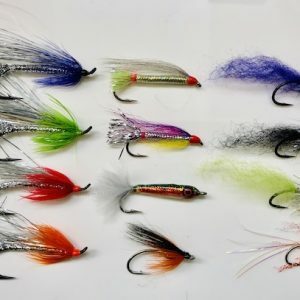 Zebra Midge Black, Red, RS2 Crystal Wing Olive, Grey, RS2 Foam Wing Black, Brown, Pheasant Tail B.H., Black, Prince B.H., Formally Known As B.H., Rainbow Warrior Tungsten, Boy Buzzer Tungsten, Squirmy Worm Pink, San Juan Worm Red, 20 Incher Peacock Jig Hook Tungsten and Patt’s Stone Coffee.